Email marketing is a powerful tool. It's specifically for people who have agreed to be contacted from time to time, so let's consider them as friends. Now the trick is to make sure our mailings hit the mark, just the right frequency, on brand and designed to lead to action. We can design templates for you to use or create bespoke campaigns to make your messages stand out. Our team provide the level of support you need including creative copy, list management, campaign targetting and results analysis and action plans. We're ready to work with you to make email marketing generate business, cement relationships with existing customers and stimulate new subscribers. Which subject lines delivered more opens? Which calls to action get more clicks? We ask the right questions. We're driven by results. We'll analyse campaigns and measure returns. Next time, we'll do even better! 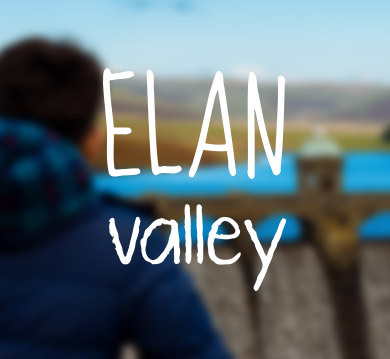 We love Elan Valley and we're not alone. These are e-mails Elan devotees look forward to with relish. the only 'sales' purpose to entice a return visit soon. Each month we help compose the latest e-mail newsletter with rich content on life at Elan and upcoming events. We receive the ingredients, copy and images, from our friends at Elan and assemble content in an easy to read style. E-mails are playing their part in encouraging return visits to this wonderful part of the world. "We send our e-mail newsletter out monthly and Orphans help us to put it together so it looks smart. We supply draft text and images and are always pleased with the speed and accuracy of the end result. We get good open rates and click throughs so we know the campaigns are well received."